Your Eljer bathtub faucet uses a single handle with a cartridge to control water flow and temperature. Even under normal use, the seals in the cartridge can crack and split causing a leak. To fix this problem, remove the entire cartridge and replace it with a new one. That fixes the problem of leaks and restores normal water flow rates. You won't need special training or tools to finish this job, and it takes about a half hour. 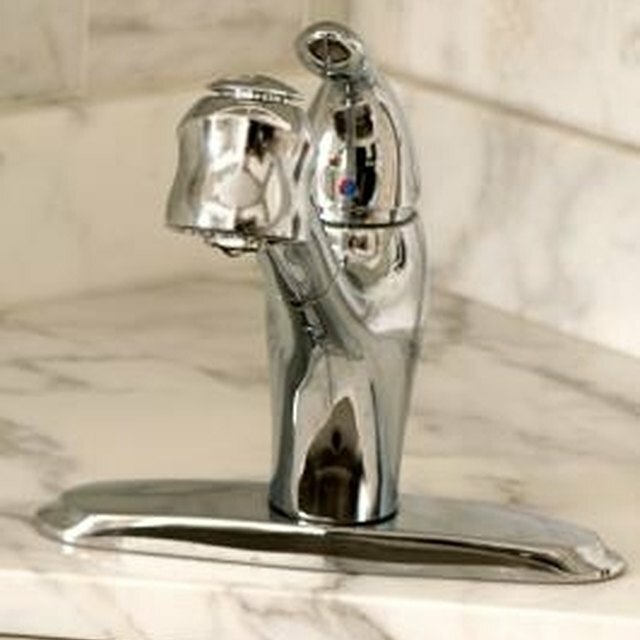 Turn off the water to the tub faucet by closing the home's main water valve. Take the handle off the faucet by taking out the screw in the base of the faucet handle with an Allen wrench and pulling the handle off. Unscrew the two screws in the side of the trim and pull off the trim. Pull off the dome cap cover around the base of the faucet and unscrew the three screws in the cartridge. Pull the cartridge out along with the three round gaskets under it and replace them with new ones from your Eljer faucet repair kit (must match your faucet's make and model). Tighten the screws to install the new cartridge. Replace the cap cover and trim and install the two trim screws. Slide the handle back onto the stem of the cartridge and tighten the screw at the base with your Allen wrench. Replace the trim or handle with brand new Eljer parts when you reassemble the faucet during this repair to completely update the faucet, and repair damage to these parts. Do not apply pressure directly to the dome cap as it may crush. Use gentle pressure when removing this part and do not use a screwdriver to pry it off. This damages the surface of the cap.